If you’re a longtime Mac user, the title of today’s column may seem a bit perplexing; this is still Mac world , right? Well, yes. But with Boot Camp and Parallels making it easy to run Windows on Intel-based Macs, a good number of Mac users are at least experimenting with the “other side” of computing on their Macs. And one of the most common questions I’ve seen relating to this experimentation is, “How do I get my printer to work when I’m running Windows ?" 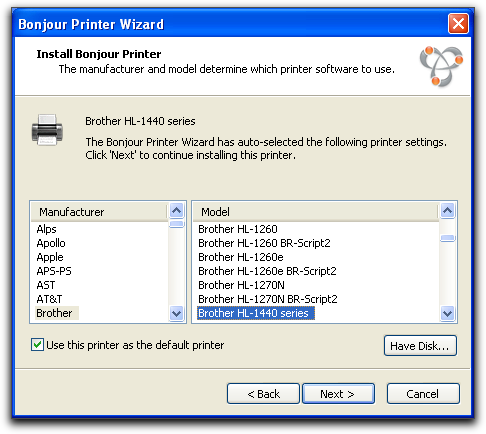 In other words, Bonjour is the technology that makes printers and other Macs on your local network appear automatically in Printer Setup Utility and the Network browser without a lot of complicated setup; it’s been a part of Mac OS X for years. Unfortunately, Microsoft hasn’t yet said “bonjour” to Bonjour (or Zeroconf , as it’s also known). So Apple took the initiative and created the free Bonjour for Windows . 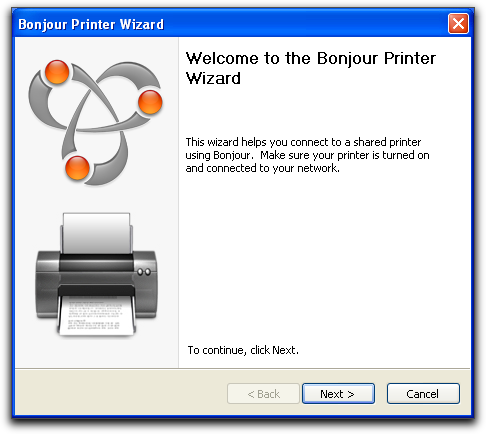 After downloading and installing this software in Windows—including Windows running on a Mac—Windows can automatically discover Bonjour-enabled devices on your local network. Such as, say, printers being shared by AirPort Base Stations or other Macs. 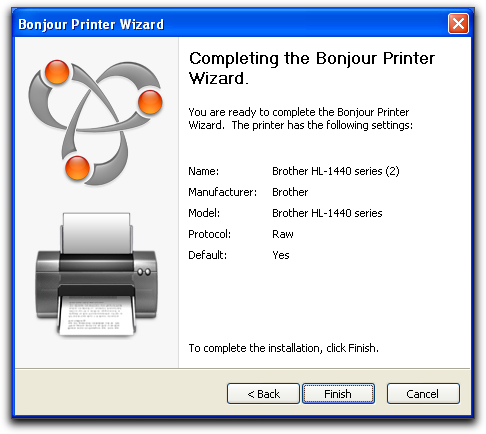 The only caveats here are (1) You need to have Java installed in Windows (which most people will) before installing Bonjour for Windows; and (2) You need to have the drivers for your printer installed in Windows before running the Bonjour Printer Wizard. In my case, I went to the Brother Web site and downloaded and installed the latest drivers for my HL-1440. 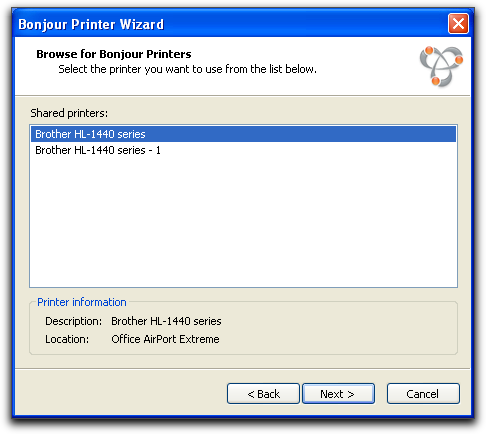 Although Bonjour for Windows has been out for quite a while, few people seem to know about it; whenever I recommend it to someone as a way to print to a Mac- or AirPort-shared printer, they seem genuinely surprised that it exists—and, later, pleasantly surprised at how easy it is to use. If you’re using Parallels or Boot Camp, give it a try.